RedFOX Labs is a blockchain venture builder or sometimes known as a start-up studio.We replicate unicorn business models from China and the US and we build them for the emerging markets. How we differ is we use blockchain to solve a problem that the industry faces. We then find a team of experts to run the company we build, give them a % of equity and then we help oversee their growth. We do this over and over. 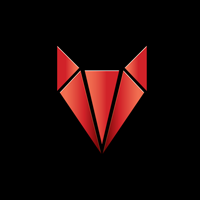 What is your role on Red Fox Labs? I am the CEO and Co-founder of the project. What are Red Fox Labs’s key features? RedFOX Labs has a couple of key selling points. The first being we use Komodo platform tech, which is very advanced compared to some of the other platforms on the market. The second is we know how to run commercial businesses and start-upsand have a lot of experience with multi-national companies in the region. We are all long time expatriates. Why does the world need Red Fox Labs? RedFOX Labs isn’t waiting for the world to discover blockchain, its delivering it in a way that the world doesnt even know its using it, and now. We use the underlying tech to enhance legacy business models, and we don’t force people to have to learn how to manage wallets, trade on exchanges and even in some cases use cryptocurrency. Rather, we use the tech to make existing models better and to allow the under-served to gain access to the internet economy. Who are Red Fox Labs’s competitors? Anyone who has a business we replicate. Our main commercial competitors would be Rocket Internet, Catcha Group and other venture builders, but we are playing in a different arena really. So therefore the main competitors become the companies we choose to copy and compete against. Why is Red Fox Labs superior/different? With the utmost respect, I never underestimate the competition. However, we do believe our skill sets and network, coupled with the ability to understand both the legacy commercial business models and blockchain, gives us a very unique advantageas we go to market. Our main advantage though is the model or 9 point funnel system (our process) used for determining the best businesses to build out, which is essentially the IP people invest in. We chose to all move to Vietnam due to the best market opportunities, which is a decision we didn’t take lightly and we believe we have the best opportunities here. Can you give a quick rundown of important tokenomics? All 1 billion coins were pre-mined, however we do have a 1 coin a block rewardalso. The idea is to release the supply slowly into the marketas we develop and produce more products and services. 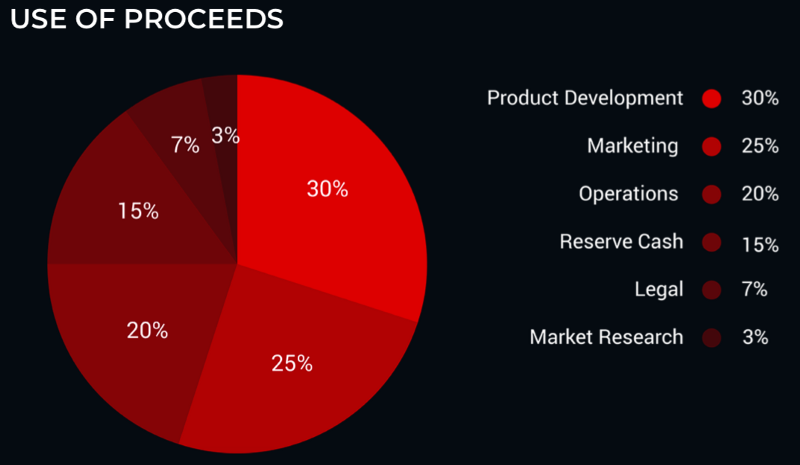 There will be 28% of the total supply distributed among the holders over timeand the total supply will be in the market within the first 3 years. Can you give a quick rundown of the Red Fox Labs motor? 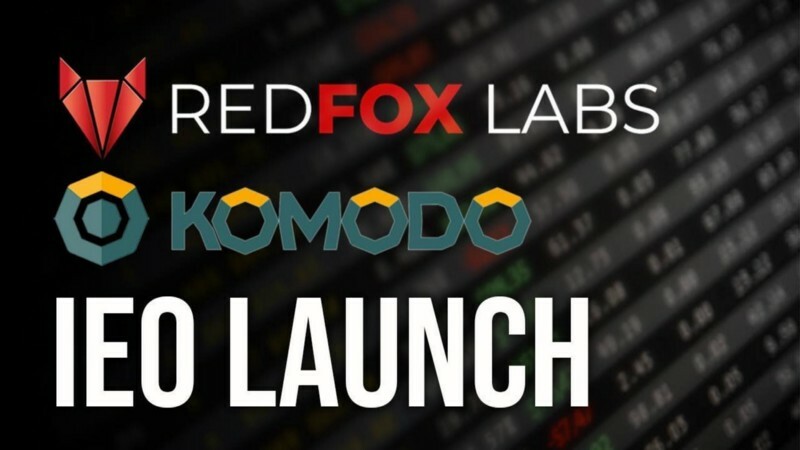 We are built on the Komodo tech and RedFOX Labs is a platform. It has its own native coin the RFOX coin. Komodo was originally a fork of Z-Cash and has been modified along the way. The RFOX coin has dPoW (delayed Proof of Work) protection against 51% attacks as security is extremely important to us. How does the Red Fox Labs core team look right now? Agile. We learned during the last bear run and the previous ones and also from working with big multi-nationals, that you need to keep the core team as light as possible, so you can scaleat will and with ease. We have experts in CEX, Strategy, Start-ups, Turnarounds, Blockchain and robotics in the core team and the rest we leverage network partners. For example if we need a big marketing campaign, we would use a top flight agency rather than have heavy capex burdens. We review our cost structures regularly and if one facet of the business is costing too much, we would acquire a stake in a business which provides this service that is an existing and profitable operation, where we can reduce our ongoing costs and also bill out those services to others. Are there plans of team expansion & in which part(s) of the team? Yes, we will bring on a few inhouse people in the coming weeks and will advertise those on our website. We have just finished recruiting some content and marketing contractorsand now we will look at some BDM and office peoplefor our operation. Where is Red Fox Labs based? 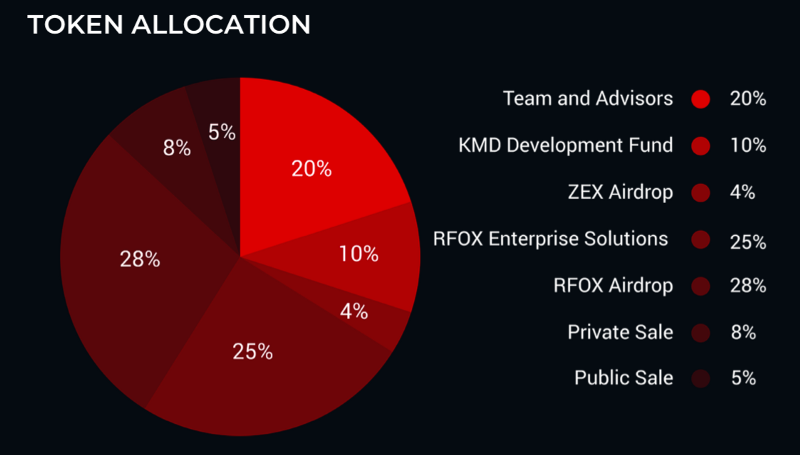 Within the RedFOX ecosystem and between its future chains, but it can also be used to buy into future RFOX projects and to pay for the goods and services RFOX produces. How does Red Fox Labs relate to local legislation? We have taken a lot of time to navigate the landscape of Southeast Asia and we are already underway with what we need to do for today, tomorrow and beyond, but we are mindful of all laws and applicable restrictions. How does Red Fox Labs relate to worldwide regulation? We take compliance very seriously and we are incorporated in the BVI (British Virgin Islands) and are in the process of incorporating in Singapore and another one or two places now. How does Red Fox Labs get income from the project? 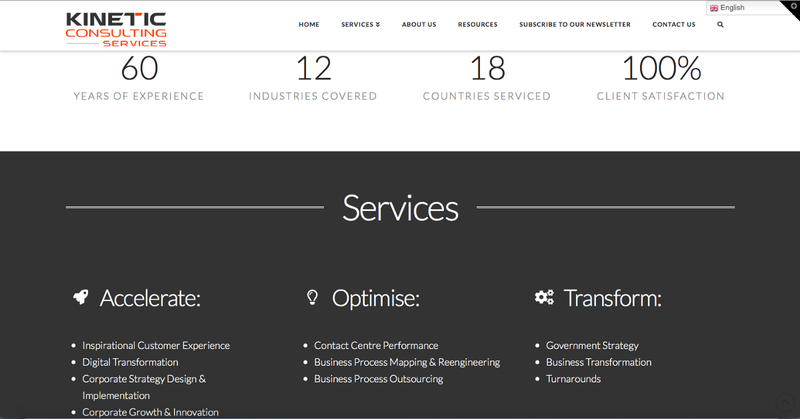 We retain a very large stake in each of the businesses we buildand that includes a profit share from the products and services they produce as well as from the profit generated through our products and services such as consulting and integration all the way through to subscription based enterprise support. What are the future plans for income for the project? What partnerships have Red Fox Labs established? We have a JV with a MENA based company from Dubai called Kinetic Consulting Serviceswhich allows us to operate through the MENA region (Middle East North Africa). We also have acquired an equity stake in Zaddex exchangewhich will become an STO launchpad for SMEs mainly in West Africa but other areas too. We also have a couple of partnerships in progress that we are under NDA for, which will all give you clues as to our direction. What kind of partnerships are Red Fox Labs looking to establish? We look to gain partnerships with local players who can extend our network reach within the internet economy. 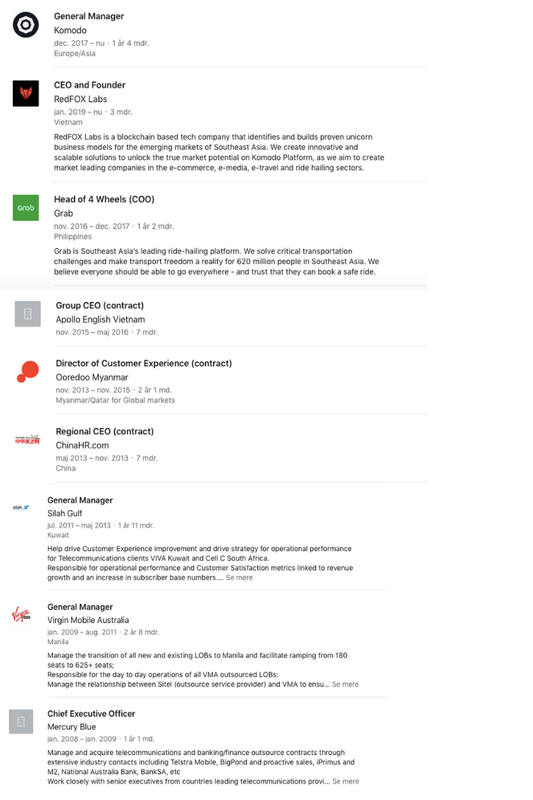 Having worked for GRAB and VIRGIN in the region we have an extensive network, but we are mainly focused on e-wallet providers, technology firms, cloud server providers, banking institutions, payment gateway providers, marketing companies, RMIT locally, recruitment providers and also GUI and UI developers. How will the man on the street experience/use Red Fox Labs? In a way they don’t realise. They will use RedFOX Labs when they purchase something online, transport goods, chat on internet forums, play video games and interact with online media sites, to name a few. How will ordinary shop owners & small businesses? This will be especially important in rural areas where customers without bank accounts wish to pay for services through outlets like 7–11 or family mart etc. We are providing these users access to the internet economy without the need for a credit card. How will government bodies and large corporations? I have already been asked by local and regional authorities to sit on boards to help pave the way for the legislation of blockchain in the region. This is important as we need to remain across what is coming, what is allowed and where the technology is needed. How will the crypto investor? We will be tradable on several of the top 10 exchanges within the first month and also some mid tier exchanges around the same time. We will carefully roll this out as we see the time best fits. What is the next big thing for Red Fox Labs? Building our first big project after the raise. Which should take shape within 150 days. Where do you see Red Fox Labs in 5 years? All across Southeast Asia as a minimum but we have already had conversations with large investors and other partners about franchising the model to Europe and the Middle East. RepMe | TRANSPARANT LINKEN EN SOCIAAL RECRUITEN Morpheus Labs – The bridge to adoption?